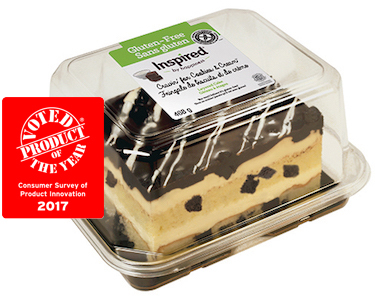 Inspired by Happiness is a brand of baked goods and desserts that elevate the typical snack experience to a new level of inspired quality. no artificial colors and no artificial trans fat for inspired snacking and happier living. 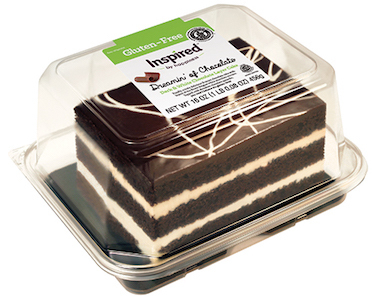 Find our decadent & delicious gluten-free cakes in the in-store bakery section, click here. Finally, a truly delicious cake with cubes of cookies and generous layers of vanilla cream mousse. Smothered with dark chocolate ganache, this cake is so good, you won’t believe it’s gluten-free! this chocolate ganache-topped decadent cake is moist and rich in taste – you won’t believe it’s gluten-free! 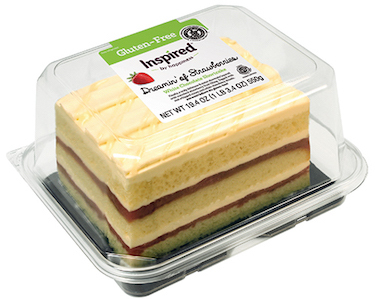 Finally, a truly delicious & decadent shortcake layered with succulent strawberry fruit filling. Topped with real whipped cream and white chocolatey drizzle, you won’t believe it’s gluten-free!